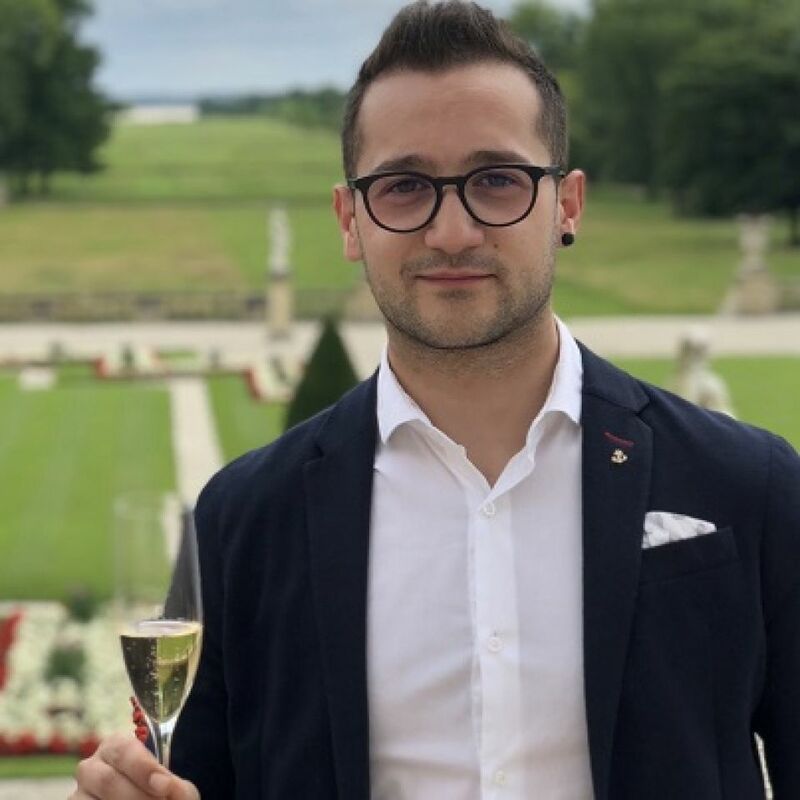 I am Filippo Carnevale, a sicilian wine lover born in Piazza Armerina, a little city next to the Etna Volcano, an area worldwide known for its mineral driven wines. I spent my early years in Sicily studing Hospitality and working in some of the finest club, restaurant and Hotel.During that age I fall in love with Flair Bartending so I attended some courses in order to shape my skills. As soon I turned 18 I moved to London where I first started working as a bartender, the thing I used to love the most, but with time I totally switched my attention and dedication to wines. Something that totally blown my mind. So I started the WSET school and working within the wine industry.My first experience within the wine world was being a commis sommelier in a fine Italian restaurant in the City but quickly moved all the way up to being in 2014 the Head Sommeleir of the Buddha Bar London, after passing my WSET level 3. In the last 3 years I have been working as a Senior Sommelier at the iconic Ritz London, beside Luigi Cagnin (best restaurant manager UK 2018) and the 1 Michelin Star Chef John Williams. I was also part of the team who got the very first Michelin Star after more than 100 years of operation. During the summer 2018 I have been awarded “Best in Class” and winner of the very first Cava Academy in London. Right now I am into a new project, being the Head Sommelier of Xier London, the new opening of Chef Carlo Scotto, set to be one of the hottest thing happening in London in 2019.